Buy Hozelock superhoze 15m expanding hose set : <ul><strong><li>Lightweight and flexible</li><li>Does not kink or tangle</li><li>Guaranteed leak-free connection</li></strong></ul><br>This innovative Hozelock 15m hose gives you the best of both worlds - expanding up to 3 times its length for an easy reach, then shrinking back to its original size for compact storage.<br><br>With a highly elastic rubber inner core and soft polyester outer, the flexible hose will never kink or tangle. 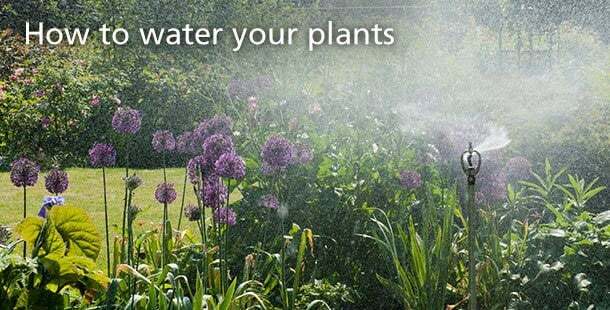 As it fills with water and expands, the two independent layers slide smoothly over each other to maintain a continuous even flow.<br><br>A built-in expansion controller ensures the hose stretches gradually to keep the connection point strong and secure.<br><br>The lightweight construction makes it easy to move around the garden wherever needed, and the guaranteed leak-free fittings ensure a watertight connection with no wastage.<br><br>Supplied with 2 x Aquastop connectors, 1 x nozzle and 1 x tap connector. 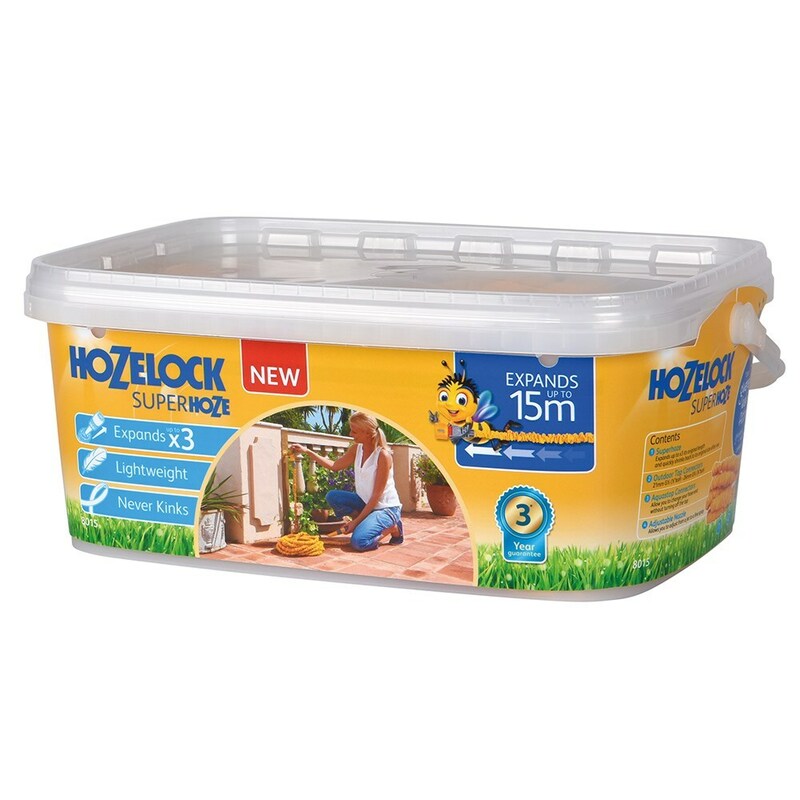 This innovative Hozelock 15m hose gives you the best of both worlds - expanding up to 3 times its length for an easy reach, then shrinking back to its original size for compact storage. With a highly elastic rubber inner core and soft polyester outer, the flexible hose will never kink or tangle. As it fills with water and expands, the two independent layers slide smoothly over each other to maintain a continuous even flow. A built-in expansion controller ensures the hose stretches gradually to keep the connection point strong and secure. The lightweight construction makes it easy to move around the garden wherever needed, and the guaranteed leak-free fittings ensure a watertight connection with no wastage. Supplied with 2 x Aquastop connectors, 1 x nozzle and 1 x tap connector.